We’ve noticed here at the Clam a great deal of discussion about Dogtown in recent months. We think that Dogtown belongs on the Historic Register, and that will help keep it protected from development while also making it somewhat more accessible as a part of our history. 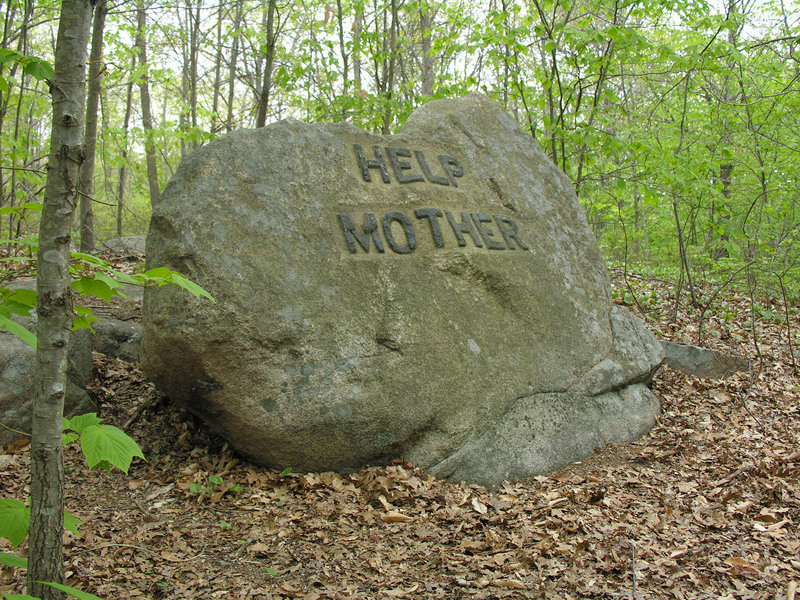 But we realized that the Babson Boulders, one of the noteworthy features of the site, seem a tad dated for today’s world. So we consulted with the Clam braintrust in our super secret Underground Lair, and came up with a few ideas that can be placed as soon as we find a stonecutter who will work cheap and can chisel in Comic Sans. But until then, we’ll share them with you. « Question 1: Forcing us all to suddenly become nurse/patient staffing ratio experts somehow? Do not touch those beloved boulders!